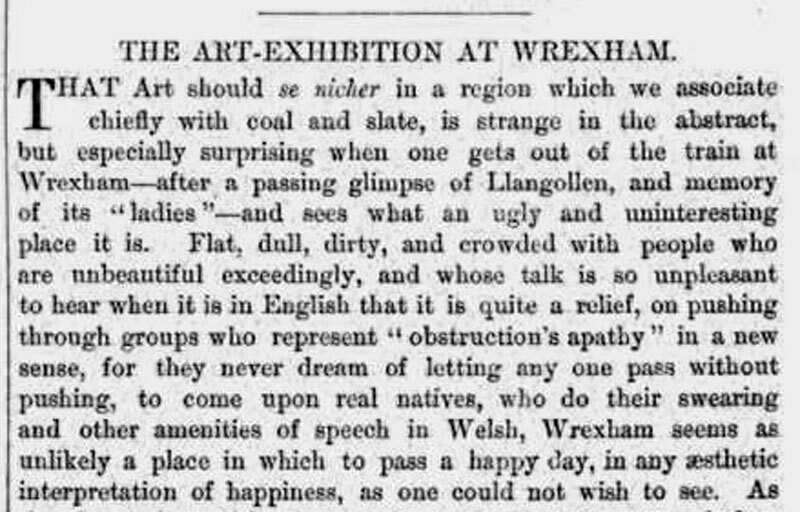 It’s 1876 and some art critic from The Spectator magazine has been sent from their London office to cover an exhibition in a scary and far-off land called…Wrexham. This was the town’s attempt to puff out its chest and show those London types that Wrexham was a go-to place for any wealthy industrialist looking for a ready supply of cheap labour. So the Wrexham Art & Industry Exhibition was held in a big temporary building on the outskirts of the town. The building looked a bit like a cowshed but had been decorated to give it a classical vibe. And inside was plonked some of the spoils collected by the town’s wealthy landowners. People like Sir Robert Cunliffe, whose family’s wealth was from the Liverpool slave trade. 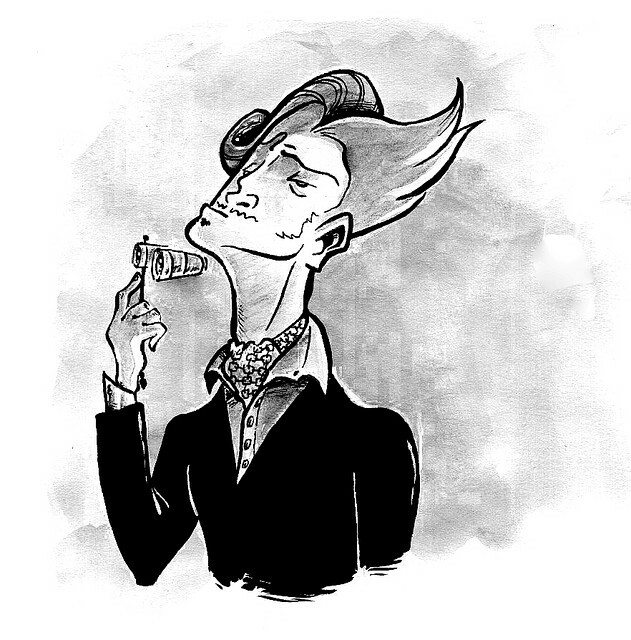 And Sir Watkins William Wynn, who pencilled in four-days each week for hunting. And when he wasn’t killing animals, he was busy being a blustering Tory MP. Here are some highlights from The Spectator’s report on the visit, published on October 26th. You can find the original here. That art should se nicher in a region which we associate chiefly with coal and slate, is strange in the abstract, but especially surprising when one gets out of the train at Wrexham— after a passing glimpse of Llangollen, and memory of its “ladies” — and sees what an ugly and uninteresting place it is. Flat, dull, dirty, and crowded with people who are unbeautiful exceedingly, and whose talk is so unpleasant to hear when it is in English that it is quite a relief, on pushing through groups who represent “obstruction’s apathy” in a new sense, for they never dream of letting any one pass without pushing, to come upon real natives, who do their swearing and other amenities of speech in Welsh. There is nothing else to observe in the town except a bloated and brawling hunchback, of herculean build, who bestrides a large donkey, and is making a progress down the street, amid the grins of the gaping crowd, after a fashion which reminds one of the prints of the merry-making processions in the coarser times of old. The brutish fellow, with his unshorn face, his splay hands spread out on his huge knees—the bridle lies loose on the neck of the donkey, whose pace is suggested by kicks from the rider’s heels, which meet beneath the animal—his baggy cheeks and mouth distended for coarse speech and rough laughter, might be one of the train of the Abbot of Misrule. The visitor will probably be attacked by a profound melancholy, as the result of his first few minutes’ observation, especially as the other visitors, and most noticeably the excursionists, are of the limpest order of sightseers, wearing an air of being there only as the result of a painful effort which, on the whole, they now wish they hadn’t made. People have different ways of enjoying themselves, however, and this may be the Welsh way. 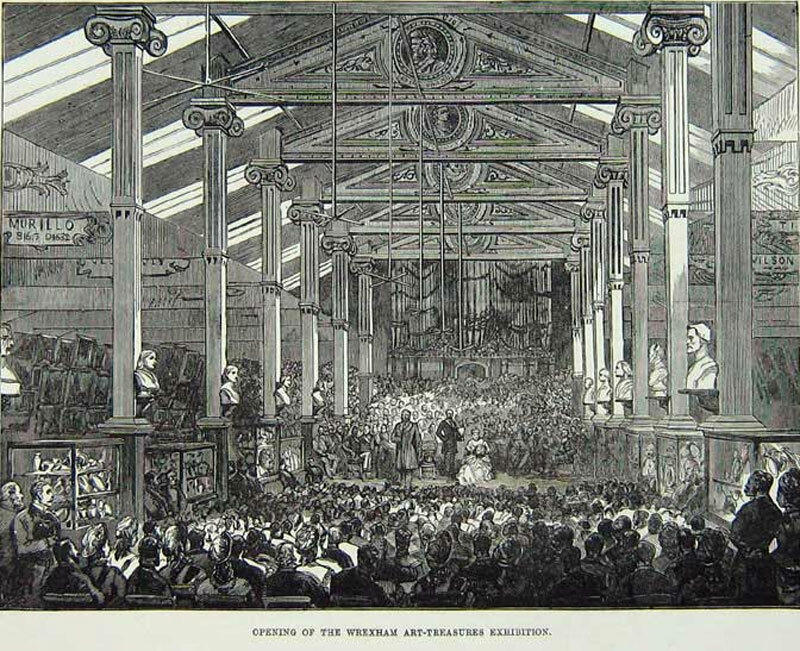 We are told by the papers, and on the premises, that the Exhibition is so popular that it has been decided to keep it open for a month longer; and isolated observation must not be put against such a statement, otherwise one would be inclined to pronounce the aesthetic fare offered to the people at Wrexham much too fine and delicately flavoured for their taste or comprehension. Whether the proverbial weakness of “Taffy” has been practically borne in mind in the arrangements of the refreshment department one does not know, but “a piece of beef” is an article not to be found on the premises.